The hand of a man turns the dial on an old vintage radio sitting on a night stand in a bedroom. Concept: look for good music, find a station, listen to the news, remember the past. Color version. hd00:18The hand of a man turns the dial on an old 1940’s radio sitting on a night stand in a bedroom. Vintage retro fx. 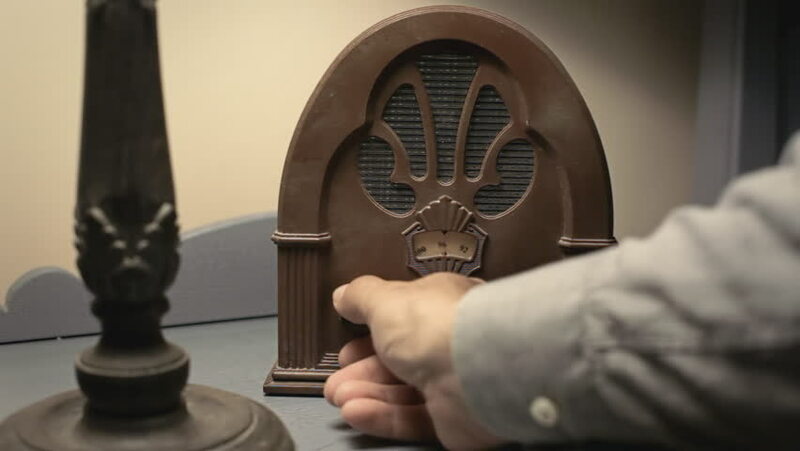 hd00:18The hand of a man turns the dial on an old vintage 1940’s radio sitting on a night stand in a bedroom. Concept: looking for good music, finding a station, listening to the news. Film noir version.